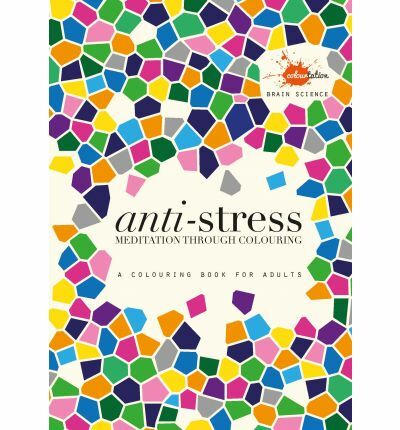 You see the terms mindfulness and art therapy used freely in colouring materials but this book actually explains in basic terms three different states of alertness in the brain and how you can use colouring to help you reach the level of alertness you want. 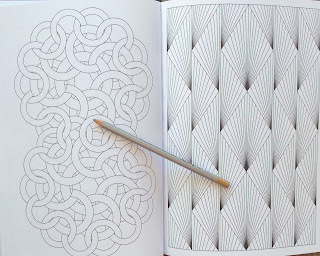 The patterns are an interesting mix and there are a many more that I want to colour. 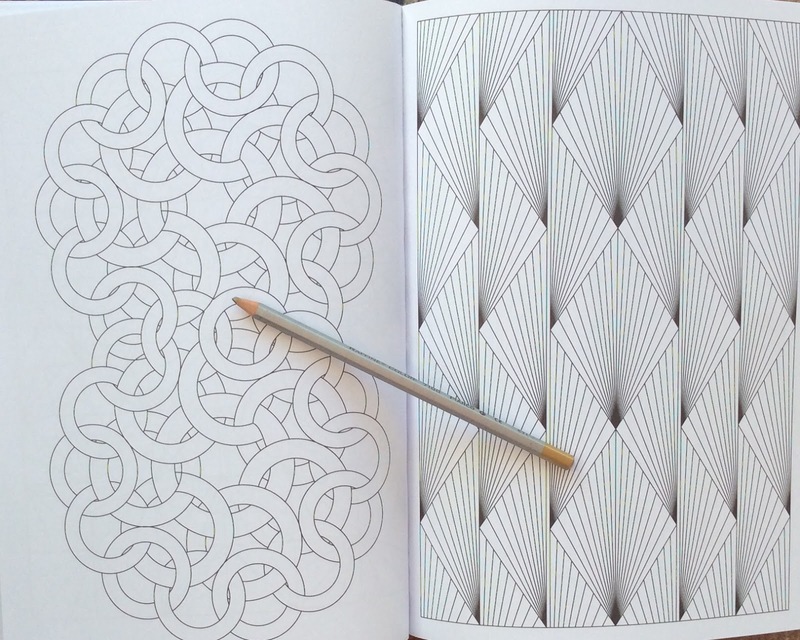 My colouring. I call this "Missing Piece"! 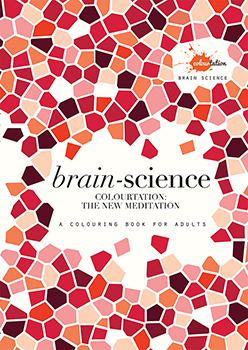 Who will love it - those who want to understand more about why they are feeling better when colouring, those who like colouring patterns and those who want to improve their state of mind or enhance their colouring experience. Comment: A bit of science first. 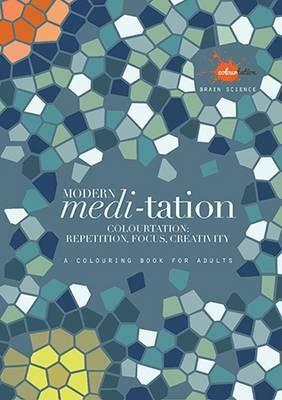 As I mentioned the book focusses on colouring patterns and activities to get you into the frame of mind you want to be in. 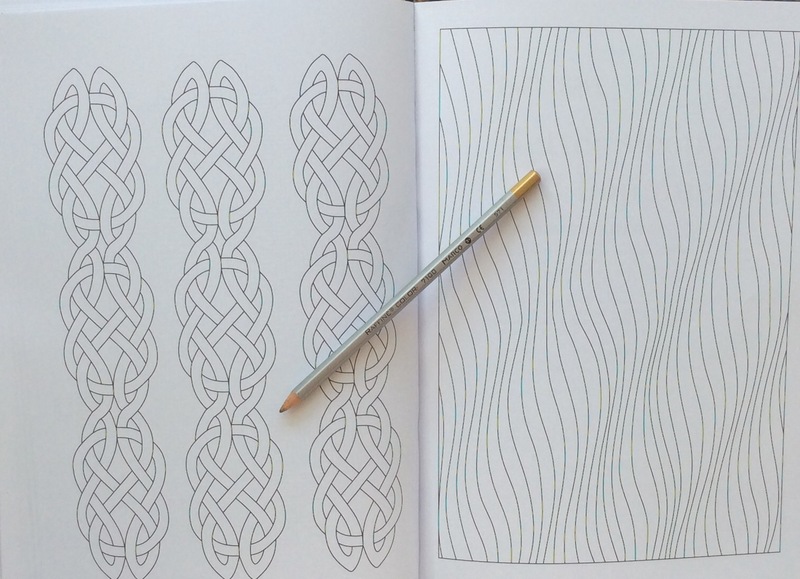 Firstly there is the Alpha phase for relaxation and there is a link to some calming music that you can download to listen to while colouring. 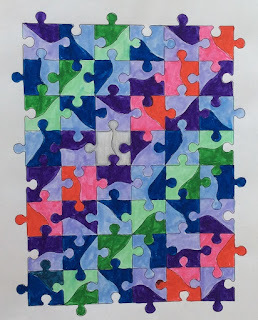 There are patterns to colour suited to this phase. 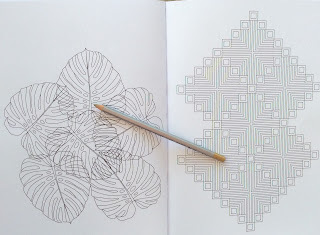 The second phase, the Beta phase, focusses on stimulating the brain through colouring and some brain exercises. 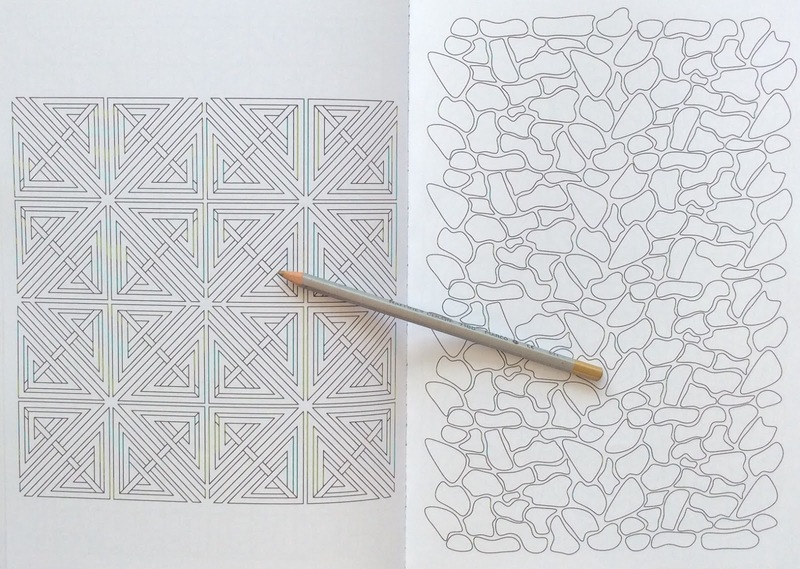 My colouring above is from this section and I certainly had to concentrate while I was colouring this one. 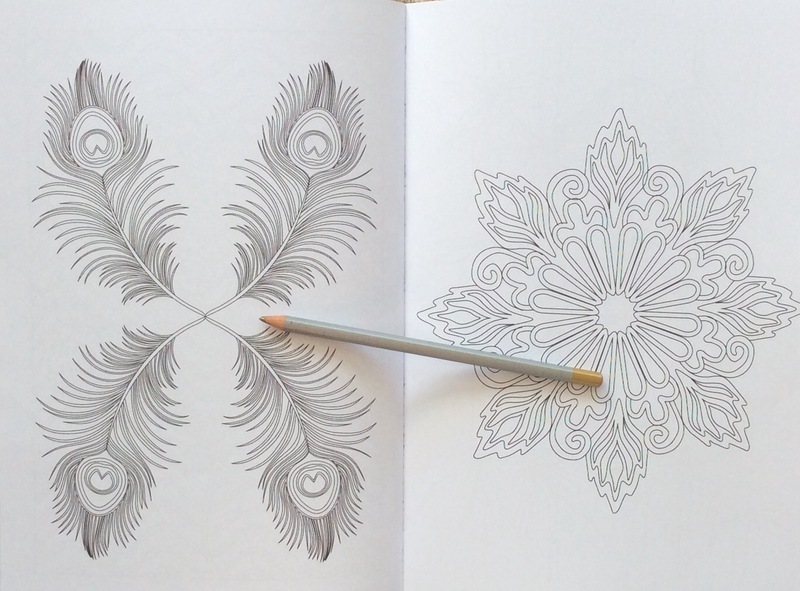 The third section is the one to help you get into deep relaxation and to sleep better. Here you should be stimulating your senses while colouring. So burning a scented candle or drinking an aromatic herbal tea are suggested. 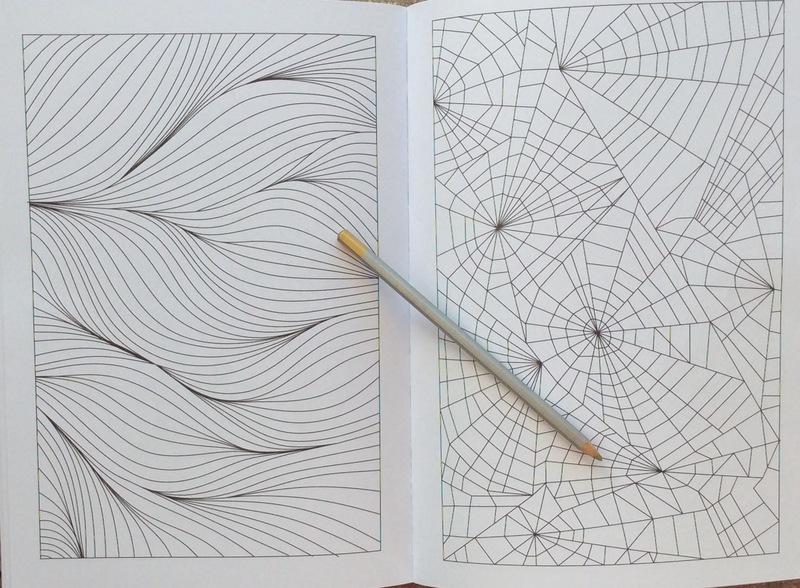 Even just as a book of patterns, ignoring the science aspect, there are some really good images here. Drawing: Jack has done well and this book has many patterns that interest me. 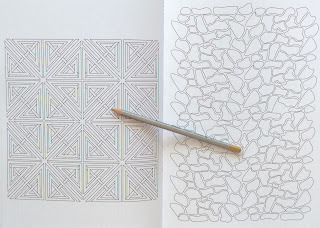 I'm a fan of patterns as they do seem to focus the mind better, so there are times when I know I need to colour a pattern. Here we have a super mix of nature inspired ones, like the feathers and leaves up above as well as daisies and other leaves. 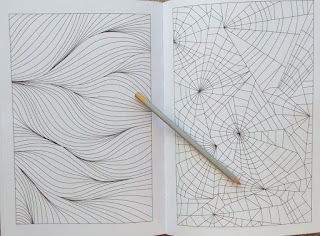 There are also geometric designs, some quite challenging, along with images with gentle curves and swirls. 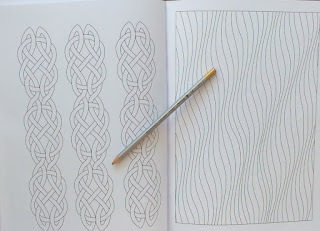 There are Arabic and Celtic influences too. The line length is consistent throughout and is medium. Many of the images have borders and images do not go into the spine. Layout and Paper: As I mentioned above, the book is divided into three sections, aligning with the three phases of brain activity. There is an introduction from Stan, who is not a medical doctor but a Doctor of Bio who has worked for many years as a psychologist. There are no scientific references for you to follow up. Curiously, the text is entirely upper case which I find slightly more difficult to read. Before each section, Stan explains the accompanying exercises or activities that will enhance your colouring experience. The images are all single-page spreads, don't run into the spine and are double-sided. The paper is white and average quality. Test out any markers first on one of the text pages as they may bleed through to the next image. 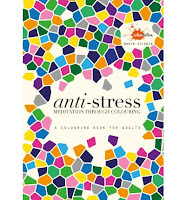 Also in this series is "Anti-stress Colourtation"